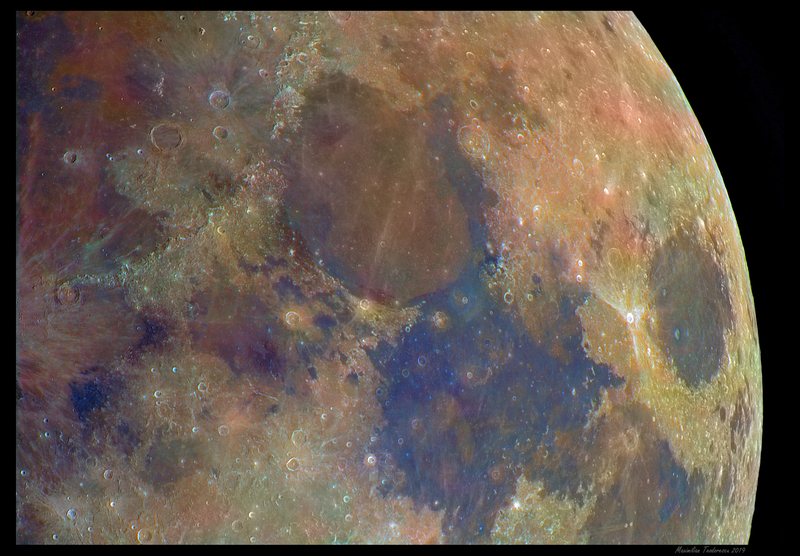 A colorful image of a quadrant of the Moon, showing different mineral concentrations at the lunar surface. 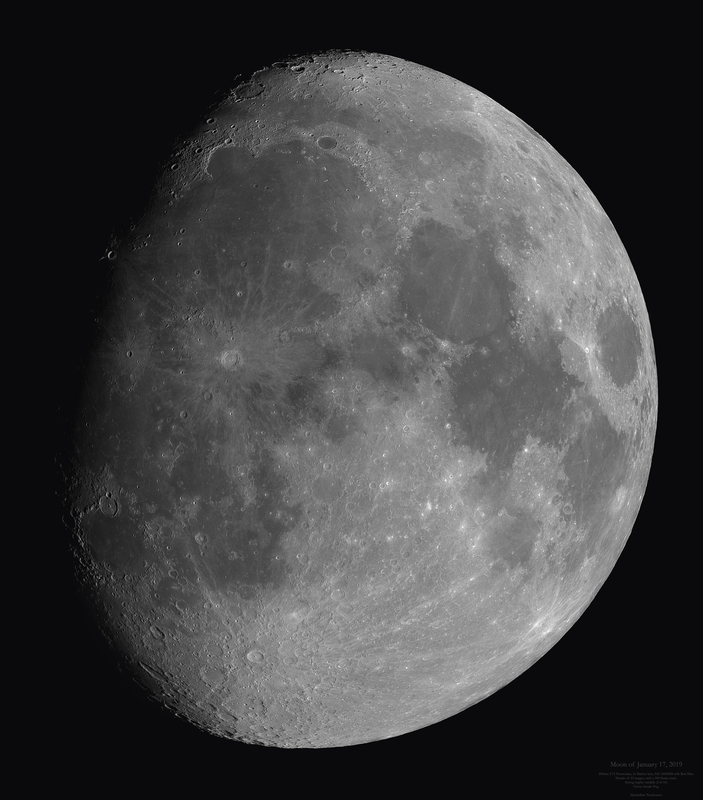 200mm F/5 Newtonian, 2X Barlow lens, ASI 1600MMC Pro, Baader RGB filters. 500 out of 1500 frames for each filter. This entry was posted on January 18, 2019 at 18:10 and is filed under ASTRO. You can follow any responses to this entry through the RSS 2.0 feed. You can leave a response, or trackback from your own site.